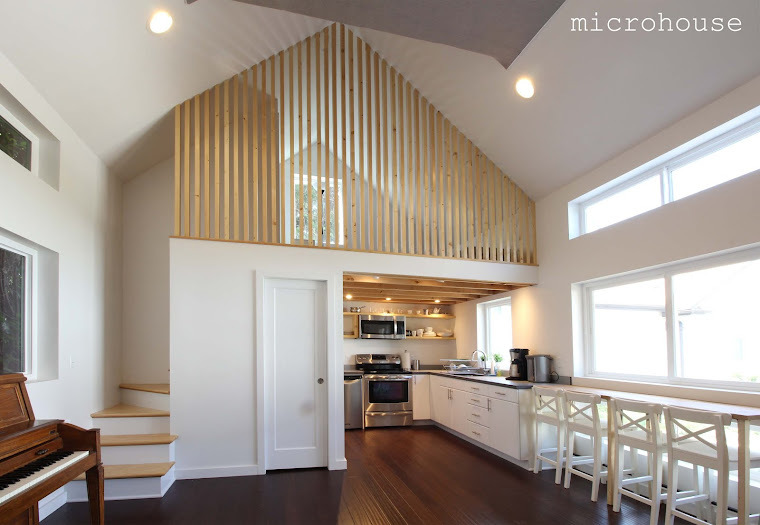 Microhouse: What first got you thinking about building the backyard cottage? Drew: There wasn’t really one ‘a-ha’ moment. A couple of years ago, when my husband and I were looking for a house, my parents suggested that it would be great to find a place where we could have a backyard cottage for them to live in after they retired. 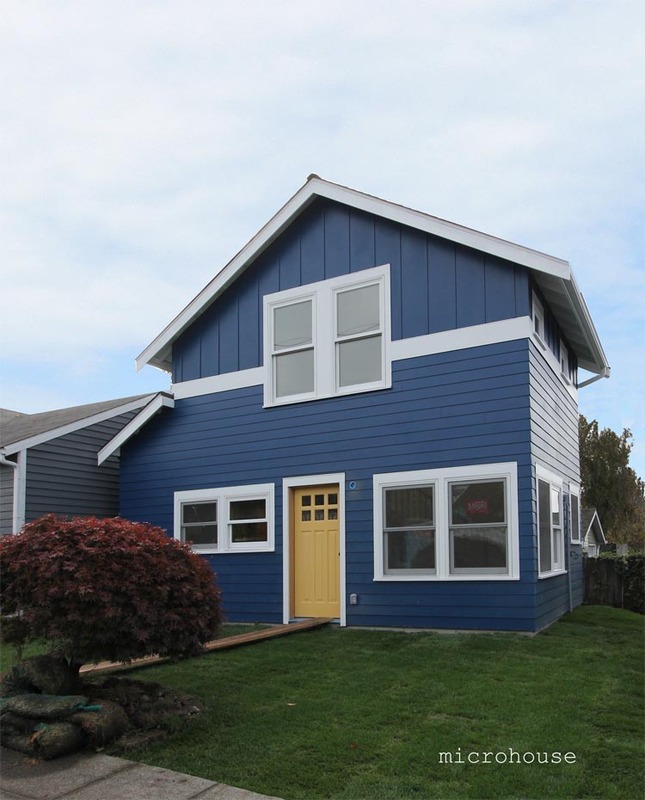 We ended up buying a house that had a scary little garage out back and the backyard cottage idea kept brewing. A little over a year ago, my husband and I took a couple of days to really think about moving forward, then we had an open dialogue about it with my parents. Friends would ask, “Why would you want to live so close to your family?” We are a very close family and get along well. Once the plan seemed doable to everyone, we went full speed ahead. What were the most surprising parts of the process ? One fun surprise was uncovered during the excavation process. We found other people’s garbage from the 1930’s. I got swept into the history of Ballard, and how Seattle managed its waste. [Read more about these discoveries on Drew’s blog]. Not as much fun was the 100-plus-year-old sewer system. None of the work done on the system over the years had been permitted, so there were no records to provide information about it. Fortunately, we were able to hire and learn from a lot of talented people who knew what they were doing. How did you balance work and life with this project going on? We really didn’t have to do very much. Joe from Viking Construction was responsible and hired a great crew. He was on site almost every day. 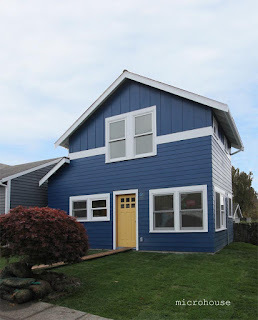 Since the cottage was separate from our house, we didn’t have interruptions in our daily routines like we would have had with a typical home remodel. What would you tell someone considering building a backyard cottage? It's a great way to provide support for family. I think backyard cottages are definitely something more families will be pursuing as an option. During our building process, which was mostly during warm months, we'd have our windows open and could hear people walking by commenting on the cottage. Most of the comments were that they liked it! Other things I'd say: budgeting is a huge part of the process, and you need to be realistic that the building process will take time and effort. What were the most enjoyable part of the building experience? I think most enjoyable were the moments when the project began to feel real. For example, I was amazed at how excited we were when the sewer hole was dug! Even getting the Porta Potty delivered was a big deal (not as fun was when it blew over late one night during the October wind storm). Then there are the finishing touches—like a beautiful sink backsplash and light fixtures—that give the house soul.